Losing a client to murder and being accused of the crime was not on Kate McKenzie’s agenda. Kate thought she and her family were making a fresh start in her husband’s hometown, but she quickly learns that small towns can hold big secrets. When the first client of her small organization business is poisoned just after Kate leaves the victim’s mansion, she knows she’s gotten off to a bad start. But things only get worse when the police find Kate’s fingerprints on the murder weapon, suddenly putting her in the position of suspect number one. The stopwatch is ticking for her to prove she had nothing to do with the murder, and the odds are further stacked against her when items stolen from the Nethercutt mansion start showing up in the McKenzie home. 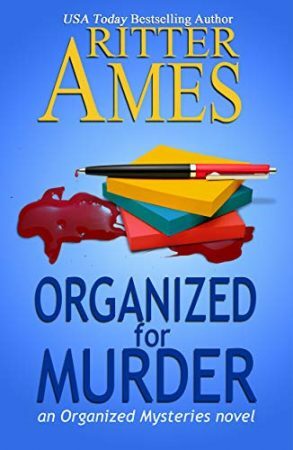 Now, Kate must trust her methodical skills and expert eye to sort out who is trying to frame her and to find the real killer before she’s organized right into a jail cell.